In small jar with tight-fitting lid, place dressing ingredients; shake well. In large bowl, mix all salad ingredients except lettuce leaves. Pour dressing over salad; toss gently to coat. Cover; refrigerate at least 2 hours to blend flavors. To serve, line plates with lettuce. Spoon salad onto lettuce. 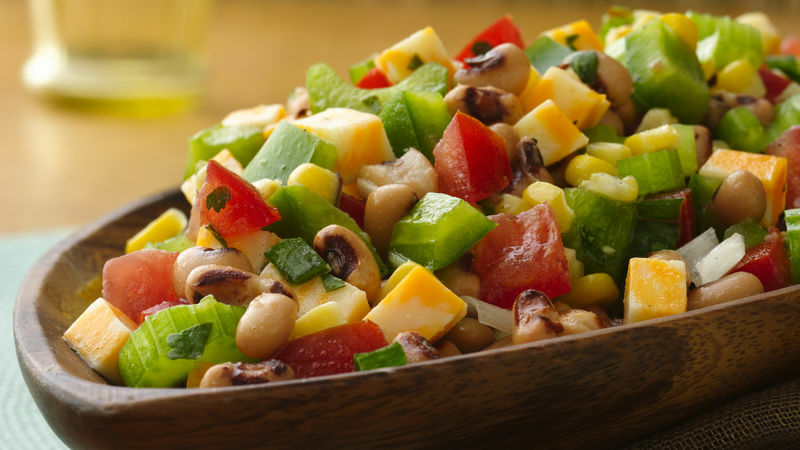 Enjoy an easy to make and delicious black-eye peas salad, perfect for lunch or as a side for dinner.